Have your reading habits changed over time? 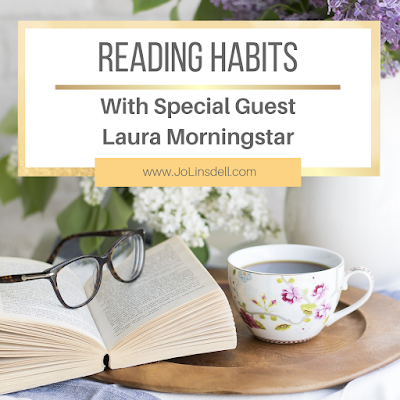 Today I'm joined by special guest Laura Morningstar to talk about reading habits, and her own personal reading journey. 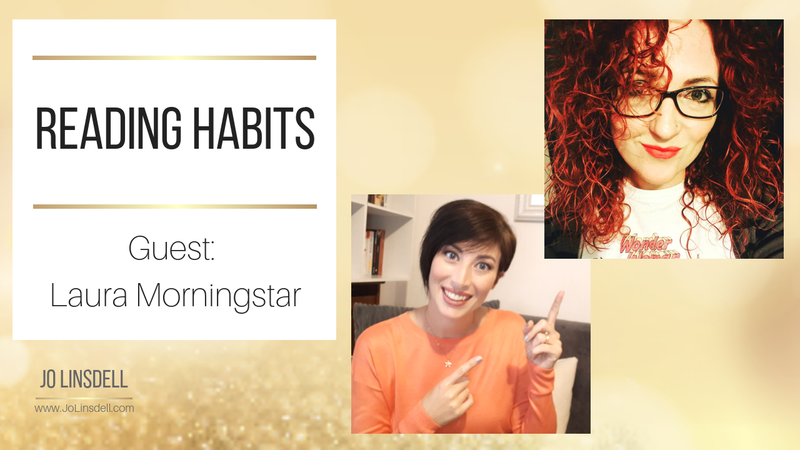 Laura Morningstar is a blogger, writer and motivational speaker. In April 2018, she closed her business after 15 years working as a holistic therapist, doula, sacred sexuality coach and personal trainer. Laura specialised in issues vital to her work such as touch, sexuality, fertility and body confidence. Prompted by her own struggles with chronic illness and no longer feeling as if she could truly serve her clients in the way that desired, Laura returned to her first love writing. She is currently working on her first novel. 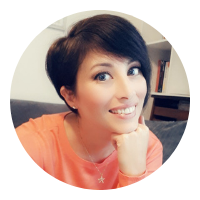 On her Loving Life Everyday blog she writes about health, fitness and nutrition in relation to chronic illness but also about her love of books and music. In no particular order she is a book-worm, geek, lover of good tattoos, gym enthusiast and chronic illness warrior. She adores huge mugs of tea (needs it to function), music, unicorns, log fires, daisies, dancing in the kitchen as she cooks, playing RPGs, owls & hawks, a bloody good tumbler of Whisky (hold the ice) and long walks. Have you always been an avid reader? Have your reading habits changed over time? Join in the discussion in the comments below. Great post. For as long as I can remember I have been an avid reader, but there have been times where I could not read as much as I would have liked. My tastes have changed over the years, but I do still enjoy a variety of genres. Thanks. Glad you enjoyed it. It was fun finding out more about Laura and her reading habits. Thanks for sharing, guys! I’ve always been an avid reader but I took a HUGE break/was in a slump right before I started my bookstagram account and book blogging. Blogging and being part of an online community has gotten me back into it. Book blogging is great motivation to read more. Reading slumps are real and I enjoyed hearing Laura’s story. I love these spotlights! Unfortunately reading slumps happen to most of us at some point. Life just sometimes gets in the way. It's comforting to know that others go through this and that they too change their reading habits over time. I have also noticed my reading habits change over the years. When I was younger I mainly read fantasy and Nancy Drew type mysteries, but as I've gotten older the variety of genres I enjoy has grown. But I still read for hours at a time and I love it! I struggle a bit with brain fog, too, due to chronic illness. But for me, I could always deal relatively well with TV or books, just not with communication, focussing on listening AND being supposed to react to it. Great post - thanks for sharing about Laura! I hadn't heard of "sacred sexuality" but am intrigued. Best of luck to her with her writing! Great post! I hate it when I get into a slump. That's generally a clue that I need to mix it up more. I have strange reading habits. Great spotlight! I haven't thought about my reading habits too much. I like the idea of changing my habits when I get into a reading slump! Great post and I absolutely loved hear Laura inspirational story, thank you so much for sharing your awesome post Jo.